Marumba irata Joicey & Kaye, 1917, Ann. Mag. nat. Hist. (Series 8) 20(118): 305. Type locality: [China,] "Tibet" [probably western Sichuan/Yunnan]. Synonym. Marumba gaschkewischi [sic] fortis Jordan, 1929, Novit. Zool. 35: 85-86. Synonym. Marumba lisa Eitschberger & Ihle, 2012, Neue Entomologische Nachrichten 68: 70. Synonym. Marumba dalailama Eitschberger, 2012, Neue Entomologische Nachrichten 68: 71. Synonym. 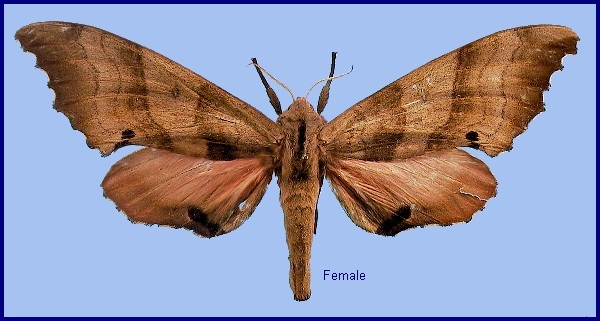 Marumba fickleri Eitschberger, 2012, Neue Entomologische Nachrichten 68: 71. Synonym. Marumba namphuongae Eitschberger & Hoa Binh Nguyen, 2012, Neue Entomologische Nachrichten 68: 72. Note. 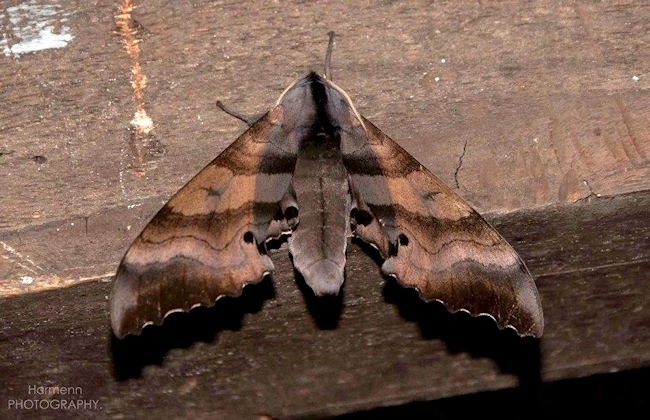 Previously regarded as a subspecies of Marumba gaschkewitschii (Bremer & Grey, 1853). Now considered to be a distinct species (Eitschberger, 2012). A high altitude species occurring at 1500-2400m in northern Vietnam, at 1800-1950m in northeastern India, and between 2750 and 3050m in Xizang/Tibet, China. The two individuals recorded from northeastern India (Vaidya, Huidrom & Irungbam, 2015) came to light on 21.v.2012 and 19.vii.2014. China: Xizang/Tibet (Nyingchi, Namjagbarwa region, 3050m; Bomi, 2750m; Zayü, 3000m); Yunnan (Gaoligong Shan; near Weixi). From northeastern India (Manipur & Nagaland) (Vaidya, Huidrom & Irungbam, 2015), Myanmar/Burma and southern Xizang/Tibet (China) to Yunnan (China) and northern Vietnam (at high altitude).